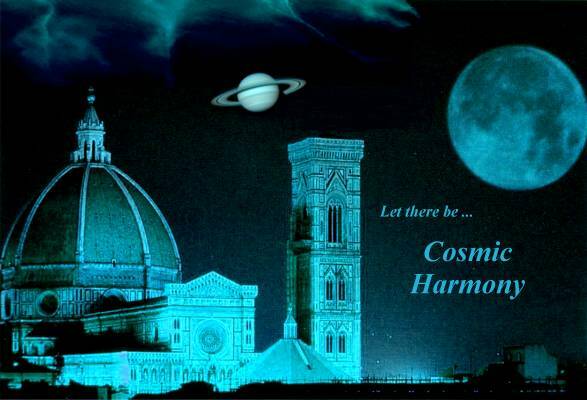 Cosmic Harmony, the State of Enlightenment - Stories and Ancient Wisdom of Sages, Saints, Avatars. 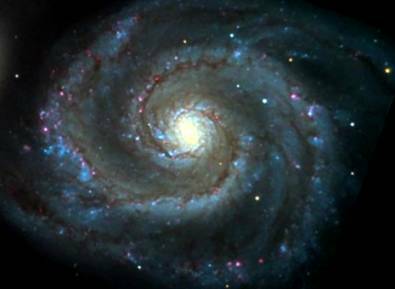 "The Universe has been called the Cosmic Form of the Divine. All the beings you see here are manifestations of the Cosmic Form. This means that all are inherently Divine." What is enlightenment? What is that state of Cosmic Consciousness, the ultimate awareness called variously - enlightenment, nirvana, satori, samadhi, self-realization, rapture, salvation, ascension, unity consciousness, voidness, and many other terms by many various religions? It is the goal of life, the ultimate destination of every individualized being. It is brought about when the individual personality ascends beyond the illusionary perception of self separateness to merge in the Universal Self from which it originated so very long ago. Spiritual evolution towards this goal takes place over ages but the final ascent of Spirit can happen in an instant of time. Our true nature is not limited ... it is like the vast ocean. ... When we touch Supreme Consciousness through meditation, then we are boundless, we are everywhere, we are eternal. God-consciousness is 10 million times more blissful than sexual experience. To the enlightened one, the world as he knew it ceases to be, and everything now stands enmantled (shrouded) by a shining vesture of divine effulgence, hitherto invisible to his normal vision. Everything that occurred to me while I was in this state of consciousness was vastly beyond anything that I had ever experienced and yet at the same time it was familiar - as if I had always known of its existence. Even now when I try to describe something so beautiful I am mute with awe. There are no words in any language to describe such grandeur. How to Achieve the Goal ??? How does one proceed from the normal human condition to the goal of enlightenment? The easiest way to achieve this Ultimate Goal is to follow in the footsteps of those who have passed this way already. The sages, saints and ascended masters of all times have found this path - sometimes through their own unaided efforts but more often by following the written or spoken guidance of a previous Teacher or Guru. The enlightened master sees the grand achievement and encourages others to find the immense treasure within the reach of every sincere seeker. They point out the path, warn of dangers, offer encouragement, and elucidate the methods of advancing on the way. Short of direct guidance by a living enlightened one (a rare piece of good fortune), there is no better way than to read the lives of saints and pay close attention to their words. These powerful beings are alert on the other side, watching for the seekers, waiting to help and remove hindrances in the path of all those aspiring to the higher life in spirit. Read their stories. Draw forth their grace. Create that subtle link of consciousness with them. Their photographs are full of power; their words highly instructive; their stories saturated with the essence of enlightenment. Meditate on their actions and you will approach their subtle perfection. This is a very special time during which spiritual evolution is being immensely accelerated. Powerful beings are working behind the veil with all who are consciously cooperating to change Earth and bring us into a radically new pattern of human attainment. Never before have even small efforts on the spiritual path been so greatly rewarded. So do not miss this rare opportunity - it may not come again for a long time. As it says in the Upanishads, Arise! Awake! From this very day vow to become the Self that you really are and join the army of lightworkers that are even now transforming the planet. Please Bookmark this site - reading requires multiple visits. Milarepa Of Tibet A legend in Tibet and the world. From sorcery to enlightenment in one lifetime. Meditated strenuously in Himalayan caves gaining total illumination. Taught even gods and goddesses Shirdi Sai Baba Crest Jewel of Saints. An Incarnation of God Shiva. Omniscient presence - Promoted unity among Hindu and Moslems. Vowed to look after all devotees even after death. Used the Method of Inquiry: Who Are You Really? Once I saw a bright light come out from Bhagavan's head and fill the hall. Everything disappeared. Only the feeling of 'I' was floating in the luminous void. creation are mere appearances. A moment and an epoch are also imaginary, not real. another - all this being thoughtforms in the infinite consciousness. your duty." After this I became conscious. I had no idea how long I was unconscious. briskly across the room. I felt and appeared perfectly healthy. "If you want moksha - understand and practice Ellam Ondre (All is One)"
Goddess? Incarnation of Universal Mother? Who was she? What was the Impact of her life? The new adventure that awaits the (human) race is a tremendous one of excitement, of achievement, of learning and of loving - loving not just each other, but all the creatures that God has made: an outpouring of affection for Creation that will never have been equaled in all the histories of all the planets of all the systems of this universe. And it is scheduled to happen here, on this tiny planet, millions of light-years from the central hub where the spirit of this galaxy resides. 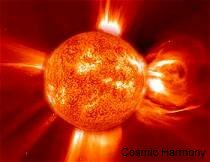 We are allowed to say that even the mightiest of solar and galactic entities aware of the plan for mankind are amazed that God should have selected this far-flung bit of cosmic dust for His greatest demonstration of spirituality. And yet it will come to pass just as the prophets have foreseen. And in that coming to pass, a model of love and beauty beyond anything ever experienced in Creation will manifest. These are stories of LightWorkers that are here assisting with the transition to a new phase of life on our Planet. They are activated, awakened people with unique psychic skills and working relationships with higher beings. Their stories are amazing and inspiring. "About ten years ago I shifted consciousness within me to a higher place ... One giant POP and the roar of ALL flooded into me ... I did this with stillness and clarity of mind .. Learning to suppress ego and subconscious.. To focus with all my being on one goal .. Being Love... BEING GOD... in all I do to be beautiful, kind, forgiving and compassionate, To all including my self .. In the beginning I understood very little .. All THEY could tell me was it was all right ...I wasn't insane and I would learn how to understand and handle it all... Anyone with a pure heart and soul can do as I have done"
"I was always surprised as a child by what surprised people. What I would think was normal, others thought as strange, surprising and even scary. I had learned to not talk.... I had a lot of dreams that would come true... I could predict what was going to happen to me later in the evening.. by feeling my third chakra and focusing on my 3rd eye.. (I'd) see what would happen. Tucson, Arizona. I learned to ask if something came out of the light of God (God consciousness). Had my first vision. Wanted to see the future but was told that I first needed to see the past and saw my past life as an indian woman... Here also I began working with my wolf who is my best friend... By accident I started to walk in auras where guides, angels, archangels, beings etc. can come through to help.... "
"I was in meditation about 10 years ago when I channeled my 'beginnings' ... I was a clear, non-physical being from a galaxy, 2 galaxy's away where all the beings on my planet are 'Mental' telepathic beings, no emotions whatsoever. I had promised to come here to Earth when 'this' was to be set up and come to teach with several others also chosen for our various talents from around this Universe." "All on this planet are part of the Ascending Human. I feel this has never been done before ... anywhere! I have had many opportunities to remain as an angel (on the other side of the veil) to guide others... but have All-ways chosen to return here for thousands of lives. My choice is to experience everything fully. I am in love with the human essence. I am in love with Mother. Viewing each experience as equal. I need to say, I do not believe in better or worse, higher or lower.. Just IS. How glorious. In speaking of myself, there is not/is ego involved. As ego is a beautiful gifted part of both human (whats called lower) and spirit (called higher). Its here that I speak differently than many for I am an ascended master of the star nations. I will speak of both light/dark love/fear light/ego equally. These things I speak of, pertain to this world and this plane." Little Owl's Story: "You are right. I do not come from Earth. I have a purpose to being here. A very special and multifaceted role to play. I am overwhelmed by it at times." Did you like this site? If so, please email a friend about it.